My name is MARDJOUA Barpougouni. I’m student in 4 years at department of history and archaeology at University of Abomey-Calavi (R. Benin). 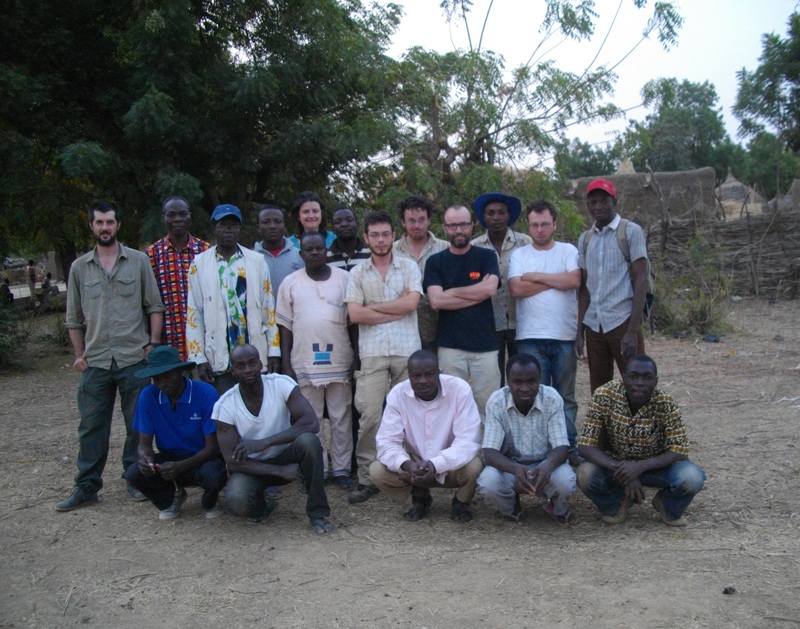 I was very happy to participe at the fieldwork in the valley of Niger. It was one occasion which help me to do the fieldwork and to change with the neigbours who have been come to Europe. I have best wishes for the moment. Crossroads of empires involves a special collaboration of people, all pushing the boundaries of their knowledge and capabilities. But I think this season was a little extra special for those students setting foot in Africa for the very first time. A journey like this can take long hours spent with papers and books and make them real. Walls come down as figures and statistics turn to faces, for better or worse. The entire trip was memorable, for example, sleeping out in the open air, or eating with hands inside a shady hut, with many curious faces peering through the doorway. And the way in which the project gets results, through involving people and encouraging them to build on their interests and abilities are things to take forwards from the Crossroads. I can describe my experience of the fieldwork in the Crossroads of Empires project as the highpoint of this year for me. As an archaeology student, I must say I really enjoyed participating in my first dig in African soil, especially since I had taken up archaeology out of interest for Africa’s past. I also had an amazing time conducting interviews with the region’s inhabitants to collect data about contemporary plant use for my MA thesis. Those human interactions were very fulfilling, as people in and around Birni Lafia astounded me by their kindness and generosity. The few inconveniences like car problems, little illnesses or sardines with (a lot of) palm oil in many meals can’t dampen my enthusiasm. The name, “merry village”, suits Birny Lafia. Indeed, people were very nice, like these little kids who everyday brought us onions and tomatoes literately just out of the earth. The site, with a great team, was very interesting. From the beginning, it has seemed impressive: I have never seen as many potsherds on surface and over such an extent. And the excavations didn’t fail to meet my expectations, especially the pavements of the testpit III. 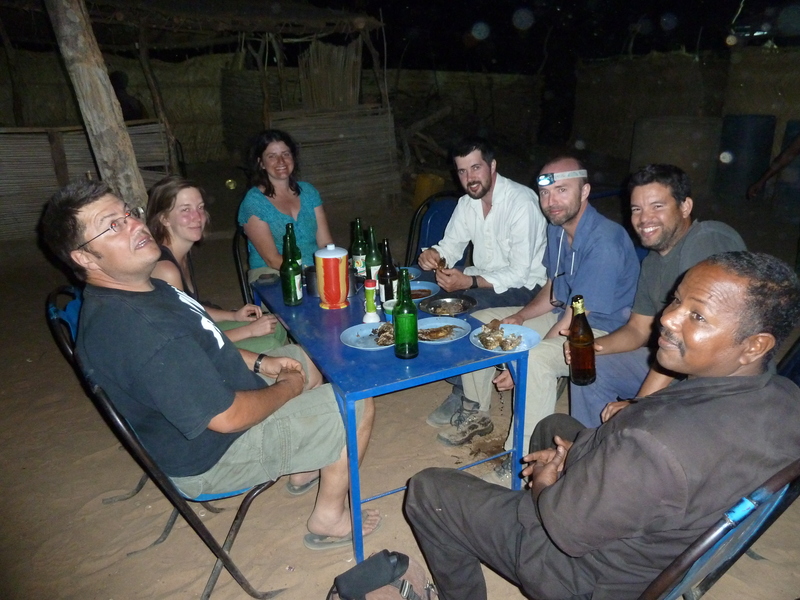 In brief, this first African fieldwork was successful, professionally and humanly. Applications are invited for a full PhD studentship in African Archaeology and material culture, to be held at the Sainsbury Research Unit, University of East Anglia, UK under the supervision of Dr Anne Haour in connection with her European Research Council funded project Crossroads of Empires. The studentship, tenable from September 2012 for a period of three years, will cover fees (Home/EU or International), living costs (along the lines set by UK Research Councils) and a contribution to fieldwork costs. – a research proposal – 1500 words maximum – explaining the key question to be considered, the methodology to be used. In preparing these documents candidates are encouraged to contact Dr Haour, a.haour[AT]uea.ac.uk, for informal discussions on aims and directions. 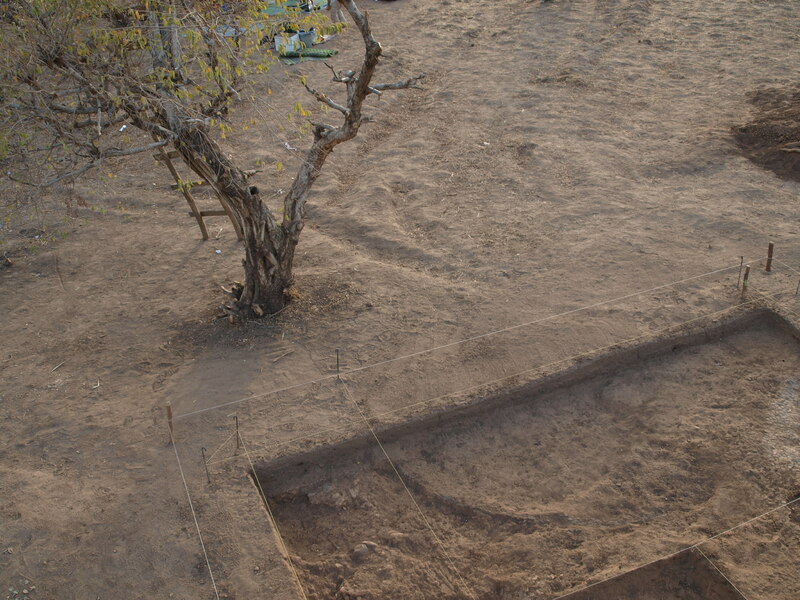 As a preliminary indication, the following areas of research, all with specific reference to the Niger Valley between Gao and Bussa, have been identified as key priorities for Crossroads: archaeological survey and test pitting along the Niger Valley; ethnographic studies of craft practices; trade and identity along the Niger River as seen in museum holdings; and oral and historical traditions relating to settlement and migration. The deadline for receipt of applications is Monday 16 April 20, 2012, 5 pm UK time.